You may receive updates from Endangered Species Coalition, the sponsor of this petition. Time is running out. These dams must be breached to save endangered orcas and salmon. In the 1960s and 70s, humans caused the decline of the southern resident orca by capturing and trapping orcas behind walls of concrete, and today, we continue to drive their decline by eliminating their main food source. Salmon from the Columbia basin makeup half of the southern resident orcas diet, and half of those fish come from the Snake River system. The salmon have themselves become threatened and endangered due to overfishing, habitat loss, and hydropower dams. For nearly two decades, conservation, tribal, and fishing groups have gone to court challenging federal agency plans that have spent over $16 billion of ratepayer and taxpayer money without recovering a single salmon population. With less than 30 breeding southern resident orcas, 2/3rds of orca pregnancies failing due to starvation, and smolt-to-adult returns of Spring/Summer chinook salmon at 1.1 percent since 2000, we are on the brink of an ecological collapse. In order to ensure their survival, the four lower Snake River Dams must be breached as soon as possible. Dam removal works for restoring fish populations and marine ecosystems as demonstrated by the large dams of the White Salmon and Sandy Rivers and the enormous Elwha Dam. The 1999 National Marine Fisheries Service’s results demonstrated that Snake River dam breaching by itself is likely to lead to recovery of fall chinook and steelhead, and the Fish Passage Center finds that dam breaching by itself would increase spring/summer chinook salmon returns by four-fold and increased spill helping boost returns by 2-4%. The science is clear: restoring a free-flowing lower Snake River is our best chance to recover wild salmon and southern resident orcas which are essential to our Pacific Northwest economy and heritage. Time is running out. The southern resident orcas could become effectively extinct within the next 15 years if we don’t do something bold soon to help them soon. The salmon and orca are an integral part of the Pacific Northwest’s culture and economy; we cannot afford to lose them. Please tell Governor Inslee and Washington and Oregon Senators to demand the Army Corps begin breaching the lower four Snake River dams and support a positive transition to safeguard our salmon jobs, honor our treaties, boost our recreation and tourism economy, and Northwest way of life. 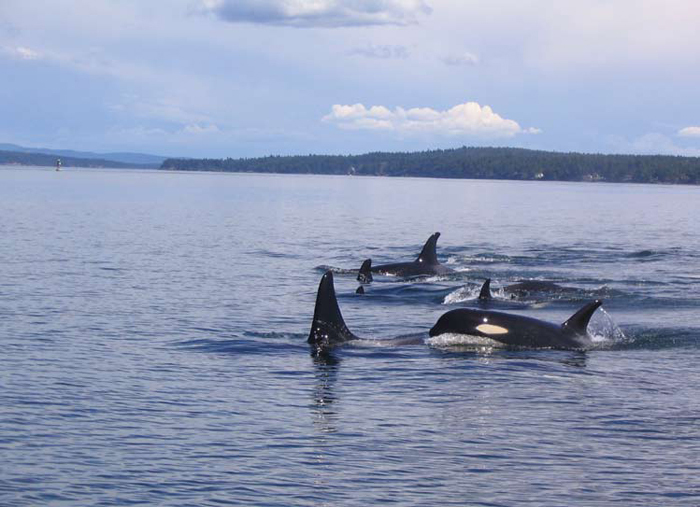 With less than 30 breeding southern resident orcas, two-thirds of orca pregnancies failing​ due to starvation, and smolt-to-adult returns of spring/summer chinook salmon at 1.1 percent since 2000, we are on the brink of an ecological collapse. In order to ensure their survival, the four lower Snake River Dams must be breached as soon as possible. Salmon from the Columbia basin make up half of the southern resident orcas diet, and half of those fish come from the Snake River system. The salmon have themselves become threatened and endangered due to overfishing, habitat loss, and hydropower dams.